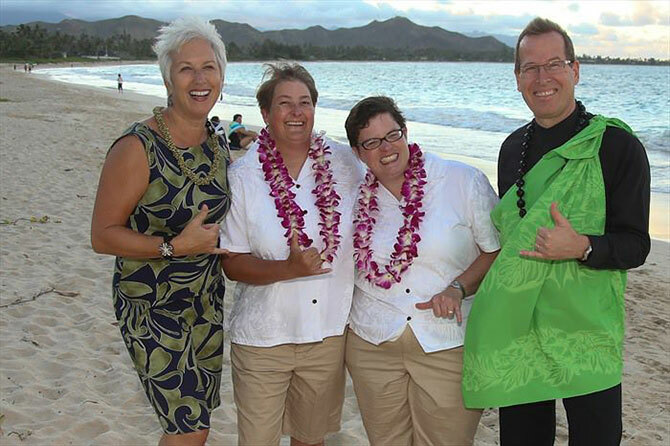 Gay Marriage In Paradise - It’s all about you! 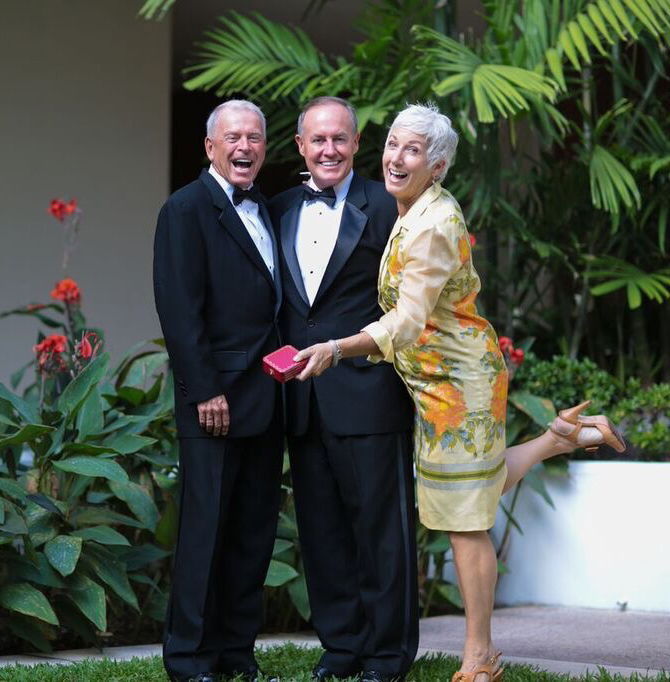 Need a wedding today or next month or next year… we say “YES” and welcome to your special day. Let us add the right touch and energy to your moment with excellent value and a win-win experience for everyone. 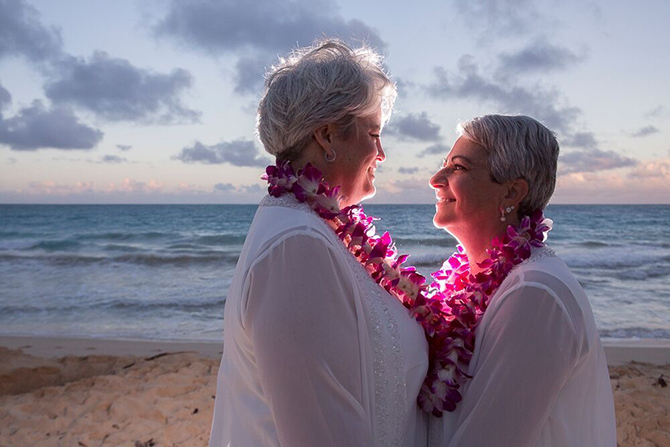 Officiant/Celebrants, flowers, photographer, limousine, foundation covenant, video, on-line paperwork submitted after the ceremony, even a dove release... let it be yours on Oahu. We look forward to being of service. 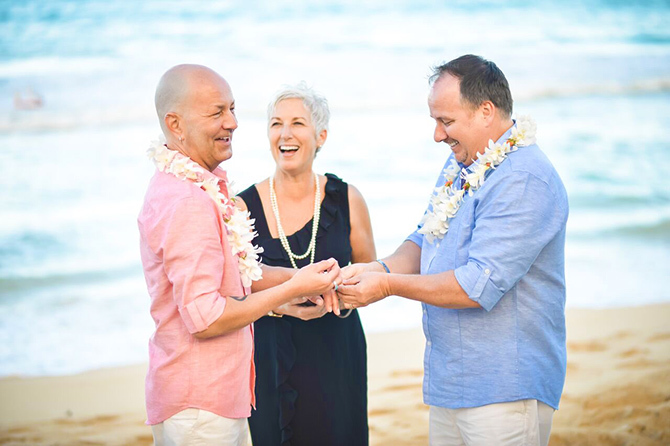 We are delighted to perform a number of different ceremonies as your favored Officiant, Celebrant or Minister. Build your own or easily choose with a package below! All packages include telephone, email & text communication, consultation & local assistance. 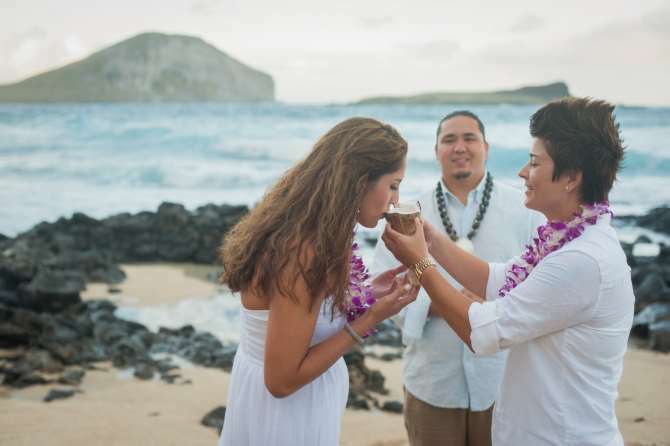 Ceremony at Duke Kahanamoku Beach in front of the Hilton Hawaiian Rainbow Tower, Waialae Beach Park, near the Kahala Hotel past Diamond Head in a quiet neighborhood or choose Leahi Beach Park or the Dillingham Fountain in Kapiolani Park. Professional Digital Photography 40-60 photos on CD and original size with full print release from your photographer, Light retouch provided on a Dropbox or a Google drive link. Wedding Bubbles to blow in your honeymoon suite! Telephone, email and text assistance! 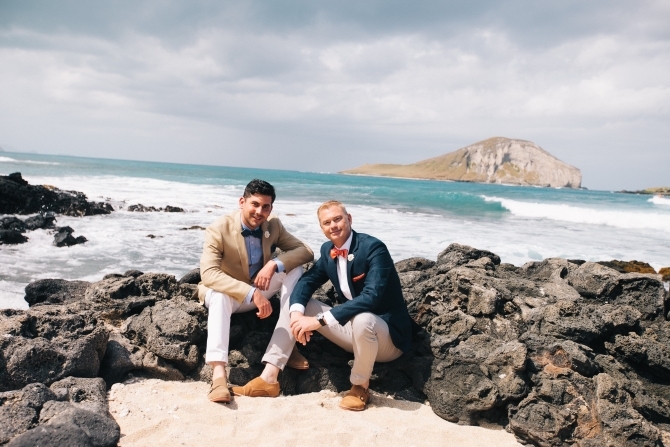 MAKANA Translated “Gift” — Most Popular Because it has Everything! Professional Digital Photography retouched 100-120 photos on CD and original size with full print release from your photographer, Light retouch provided on a Dropbox or a Google drive link. 2 hours of coverage. 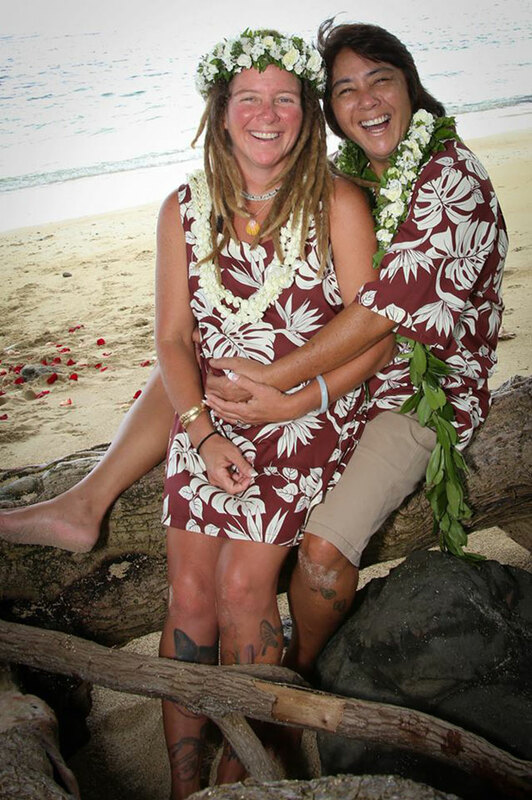 What does "HAWAIIAN Style" mean? Fresh water is seen as the symbol of life and the sharing of water is symbolic of the blending and sharing of two lives together. 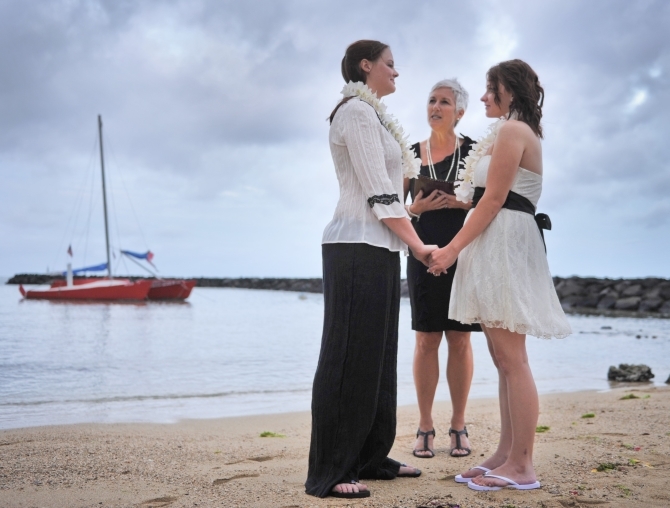 Water was used in all sacred ceremonies and relates to a cleaning of self and promise to one another. 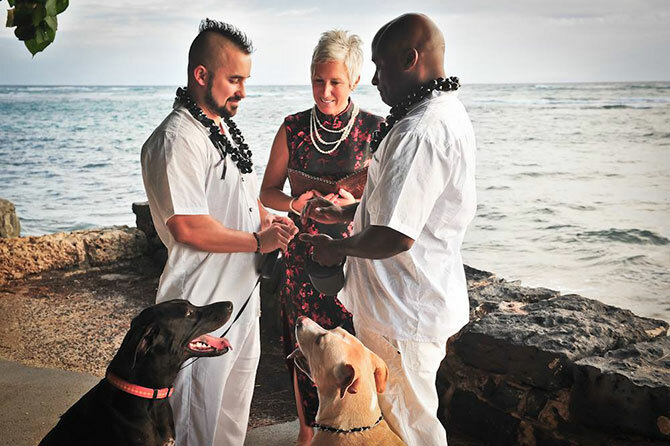 A short “Pule” blessing over your rings before your exchange. The “Honi”, a kiss on the lips! 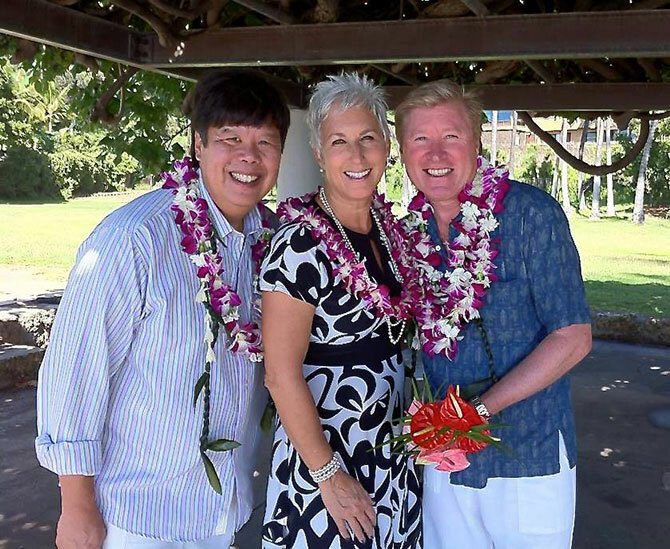 Hawaiian Blessing and Introduction of the Couple.